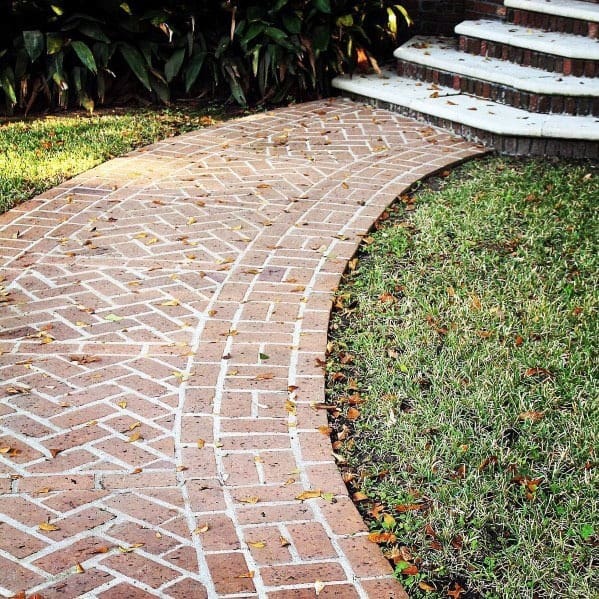 Some of the earliest roads were laid with brick, many of which continue to be in use today. 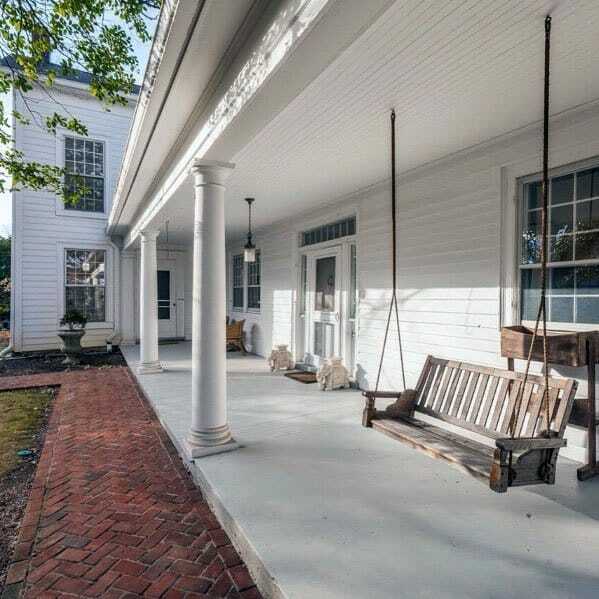 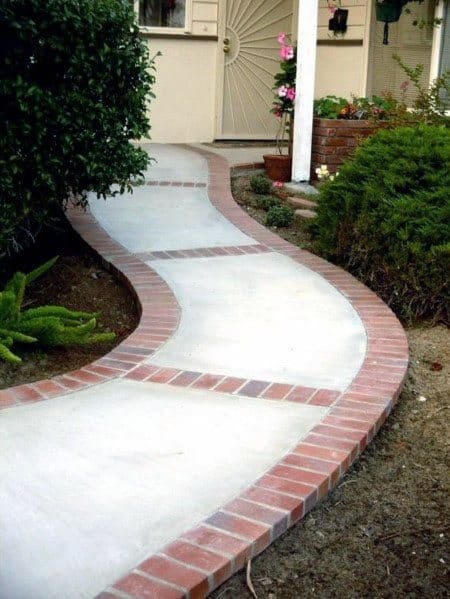 Our ancestors were no fools when it came to superior construction values, and the materials they employed were no exception. 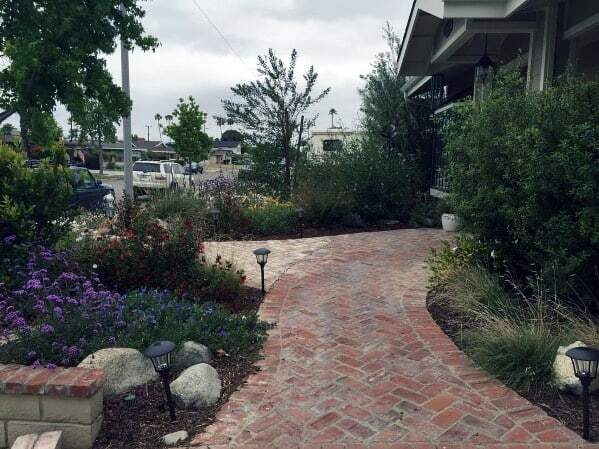 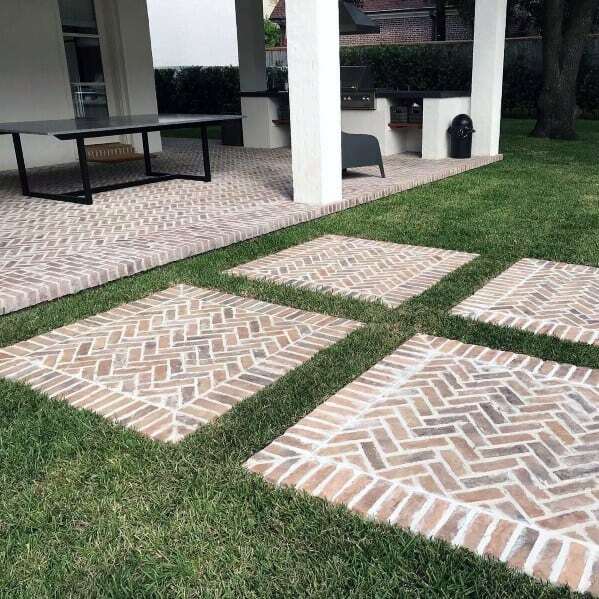 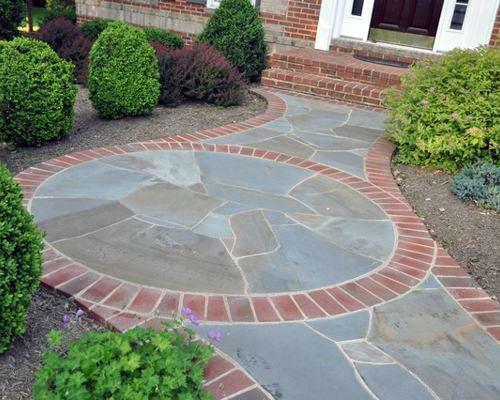 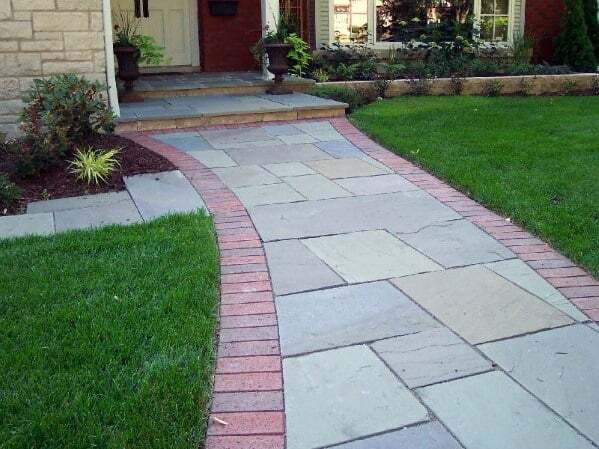 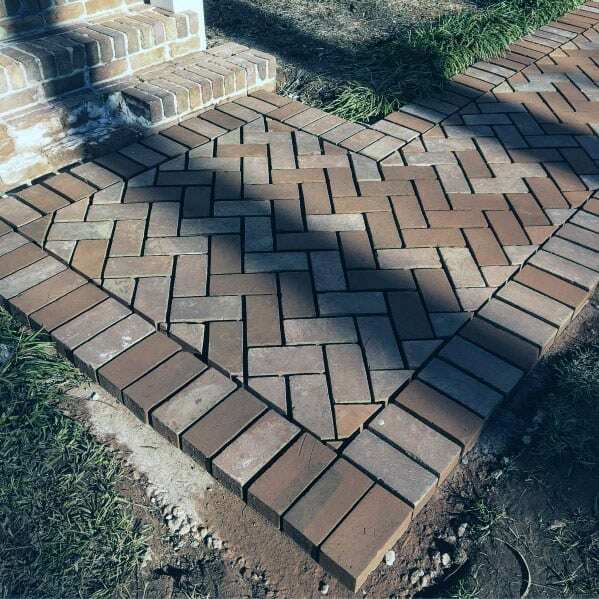 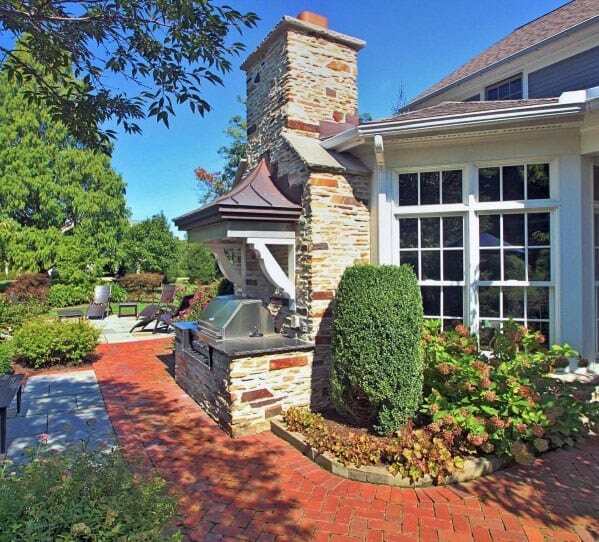 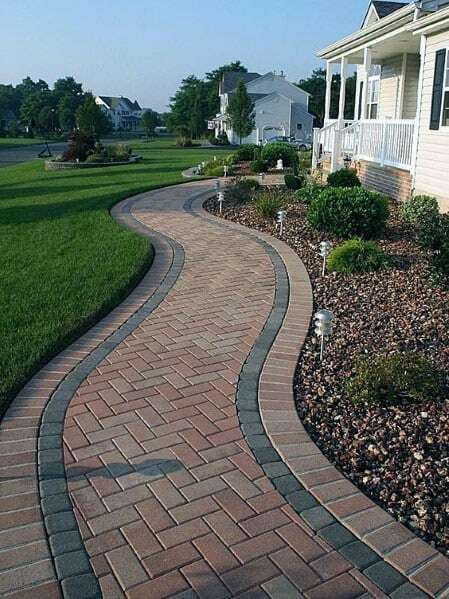 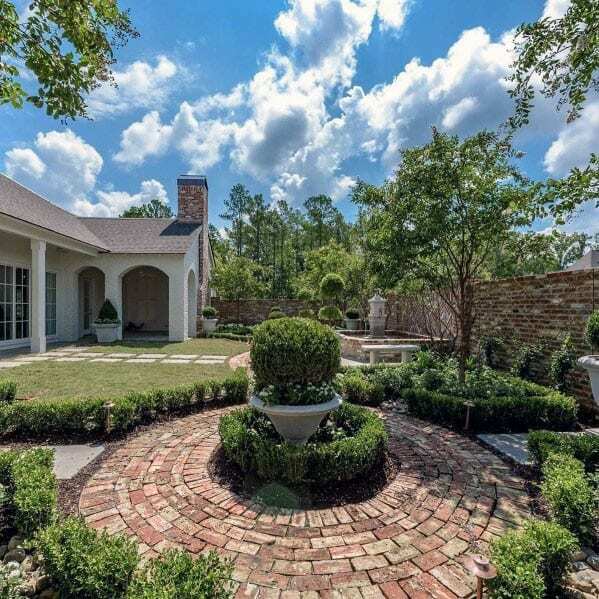 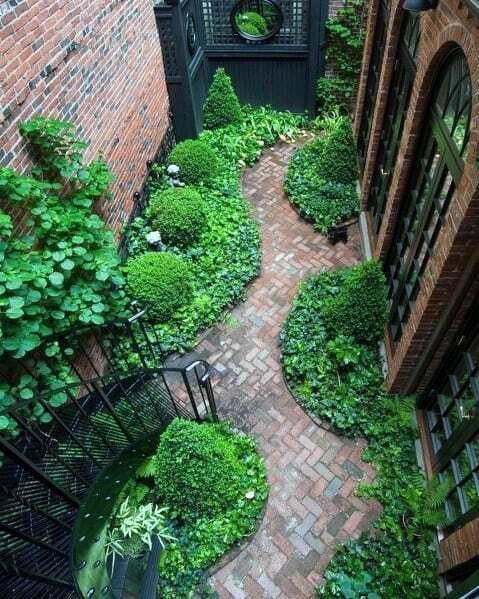 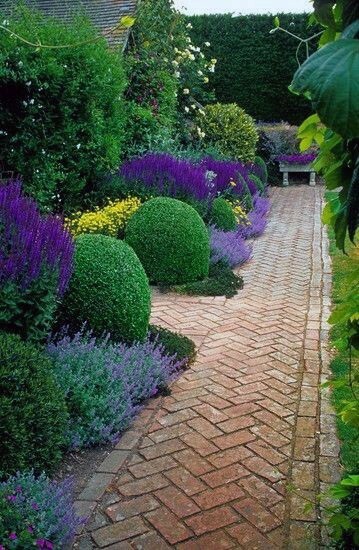 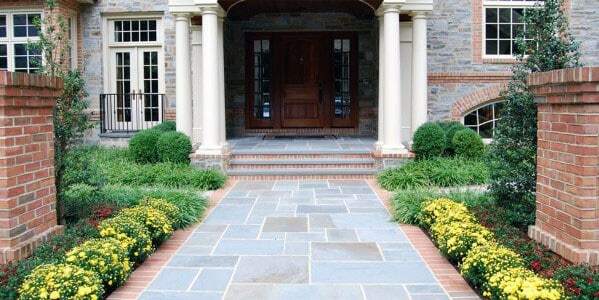 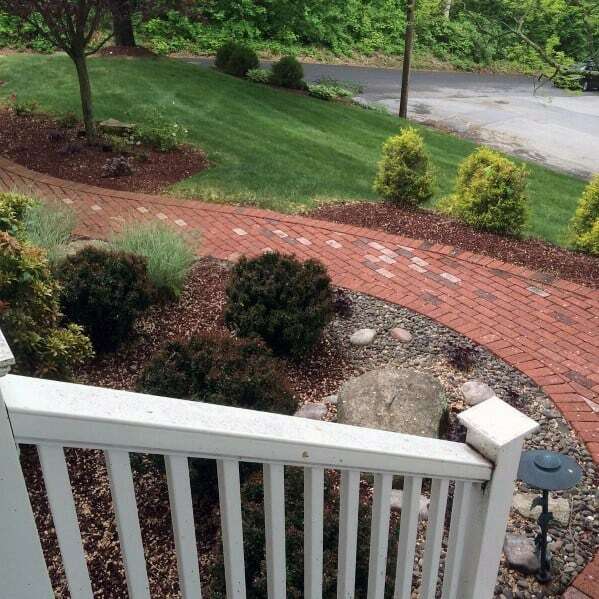 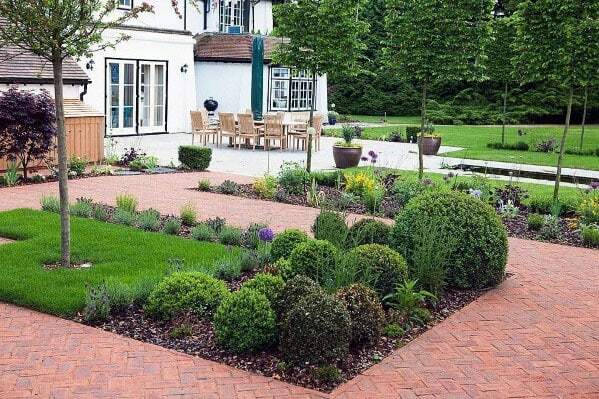 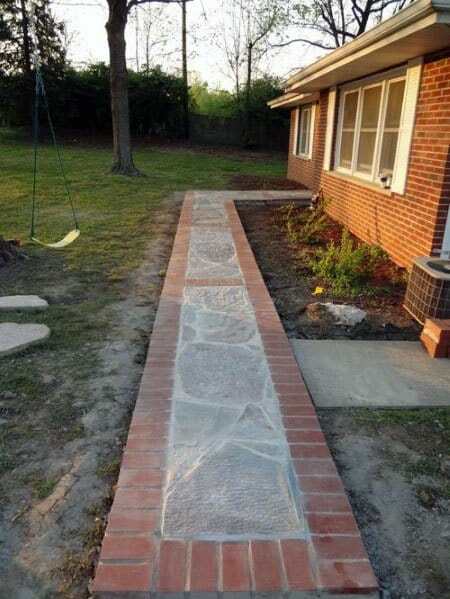 While you may not have a Roman highway to pave, your back and/or front yard walkway can certainly benefit from the beautiful and near-indestructible brick option. 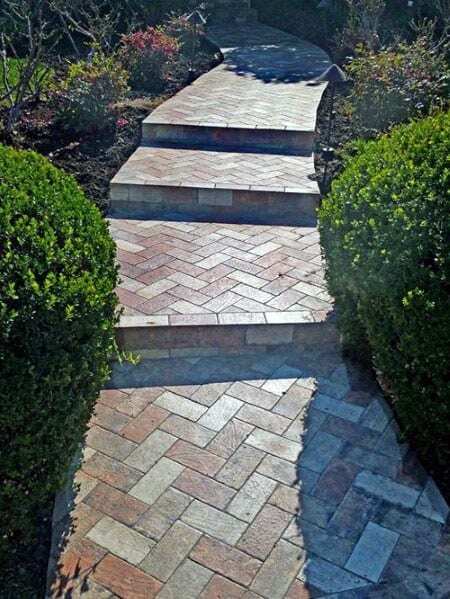 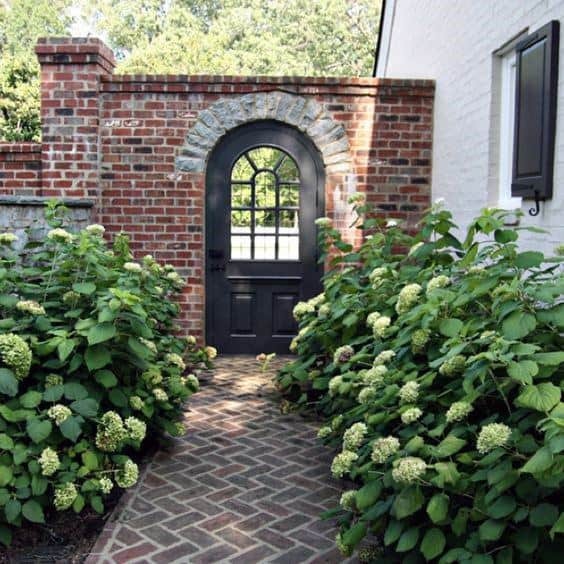 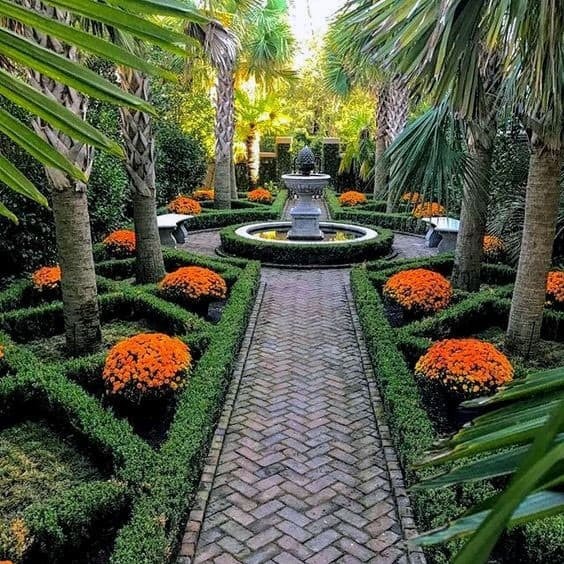 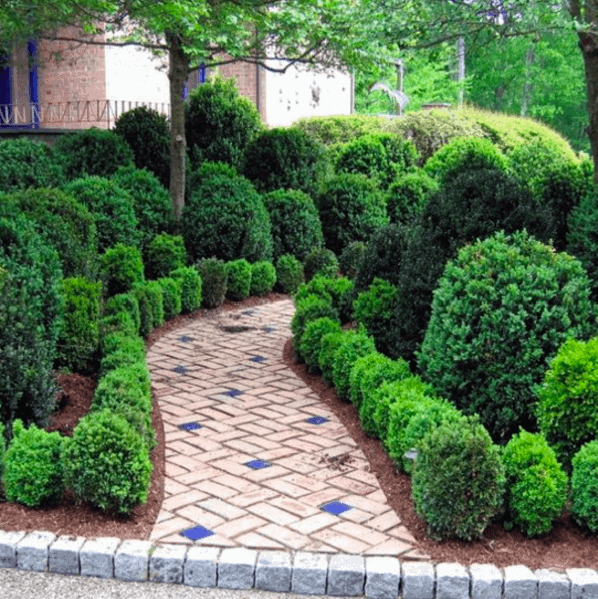 Weaving along garden plots or up to a home’s entrance, the brick walkway welcomes visitors and residents alike with a particularly appealing blend of cheer and practicality. 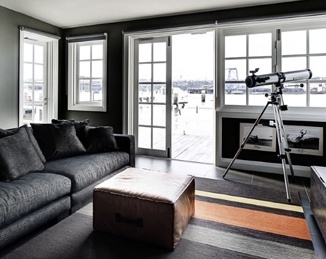 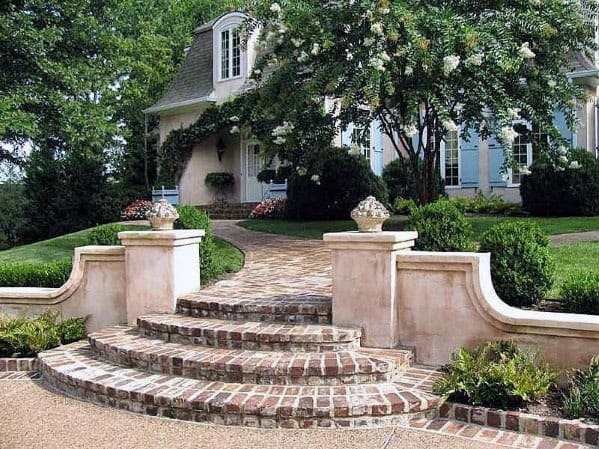 Brick is an unpretentious material, as resilient as it is pleasing to look upon, and for those who celebrate both qualities there is no competitor. 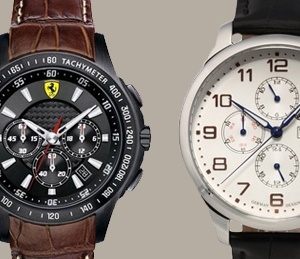 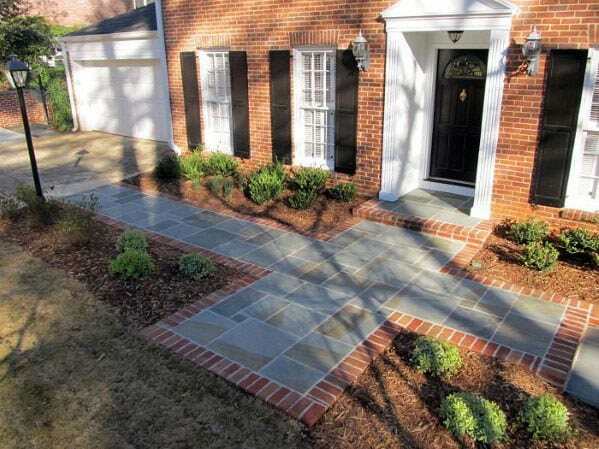 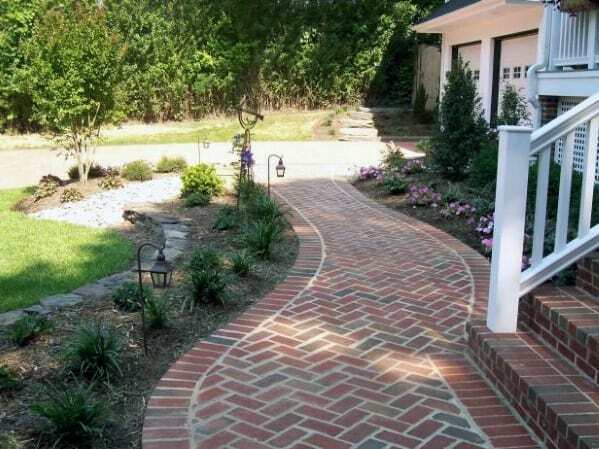 And with its many colors and sizes to select from, there is no doubt a brick awaiting your personal signature. 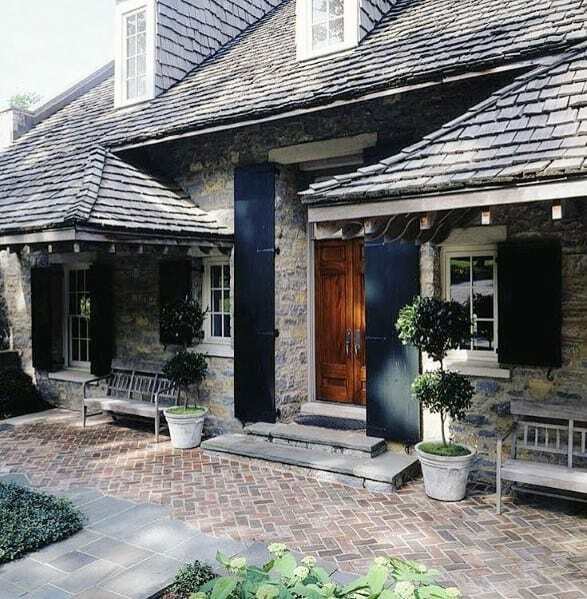 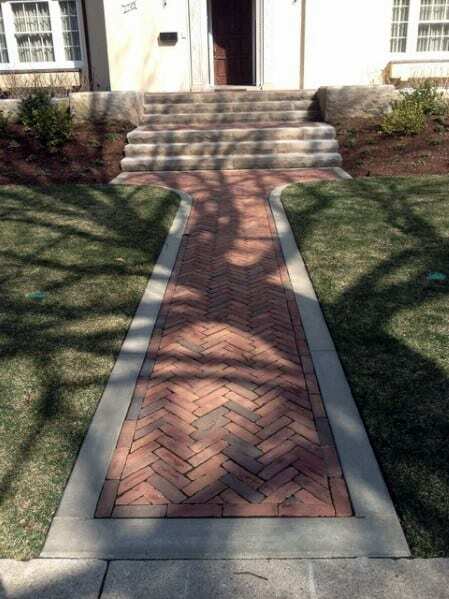 Basket weave, herringbone, and running bond are some of the more popular choices in design schemes, allowing one to select just the right pattern to guide each step of the way. 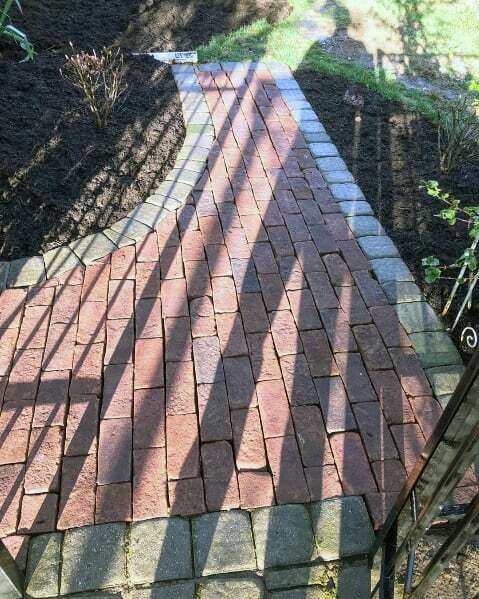 Wherever you reside in the world, brick is an implement able to withstand the most severe weather conditions and foot traffic, ensuring years (if not centuries, if history has anything to say about it) of use. 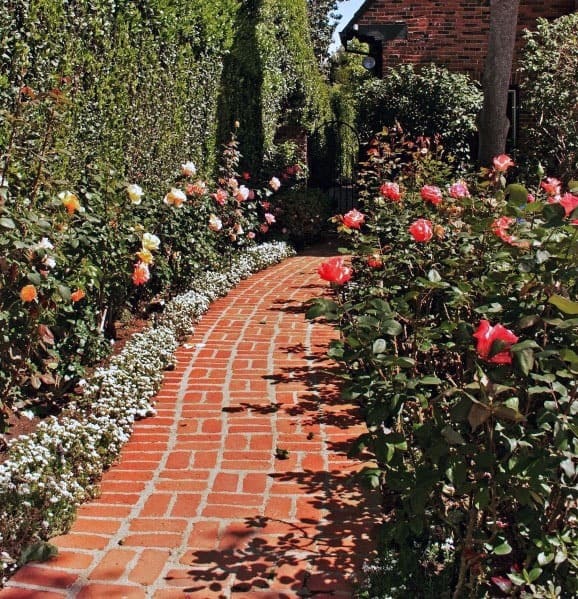 The paths that lead us home are worth taking pride in and protecting, and yours is no exception. 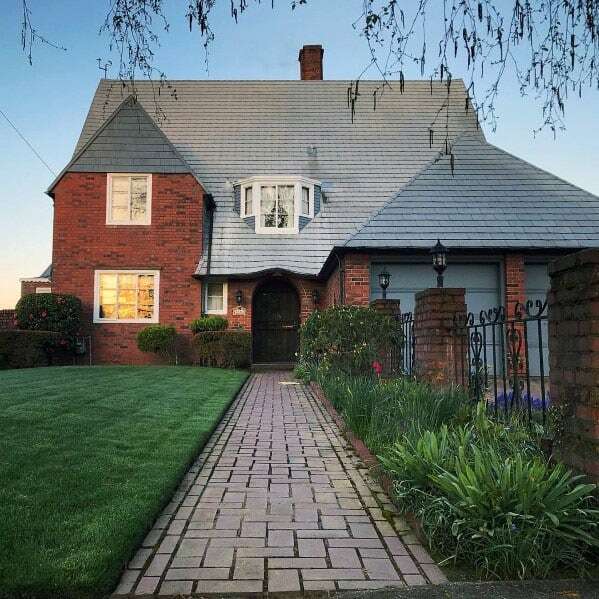 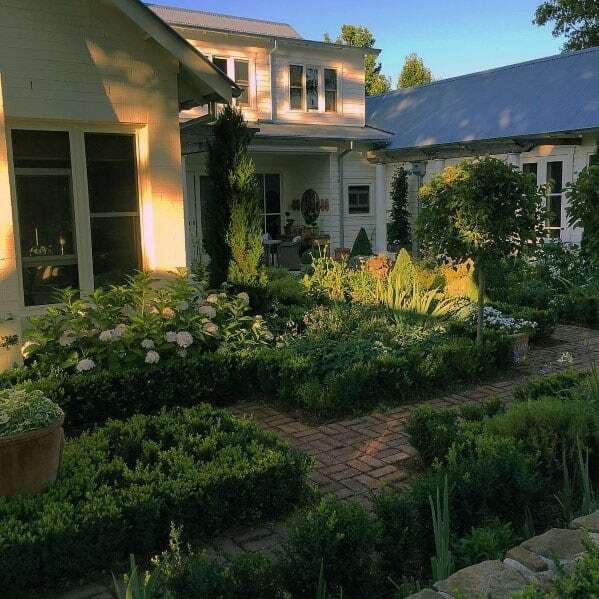 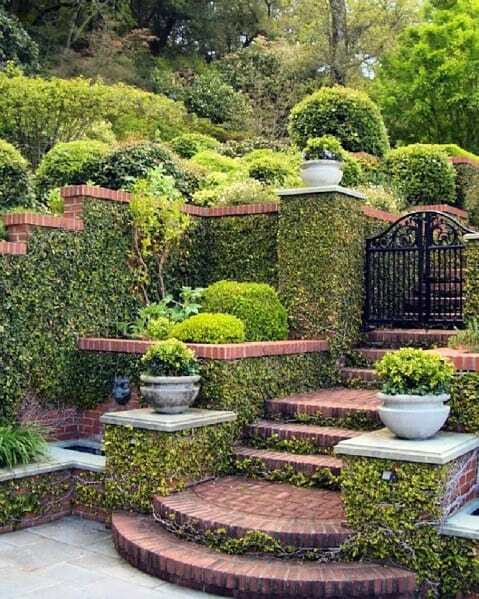 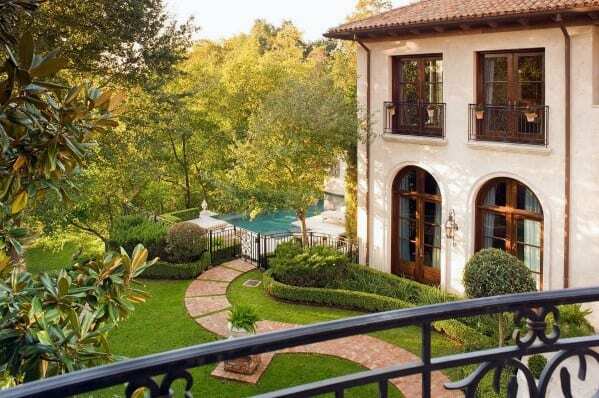 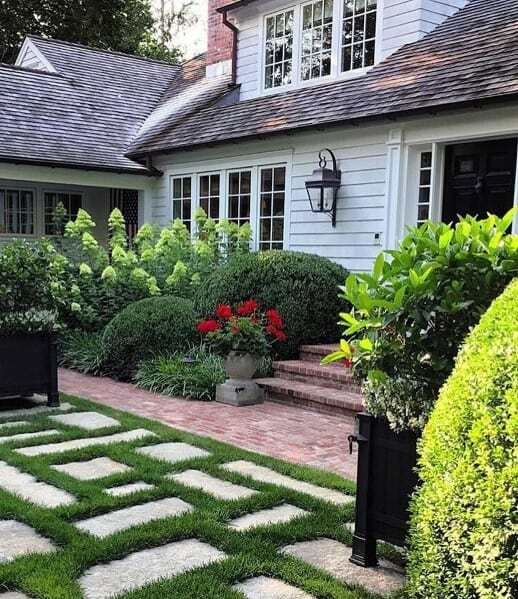 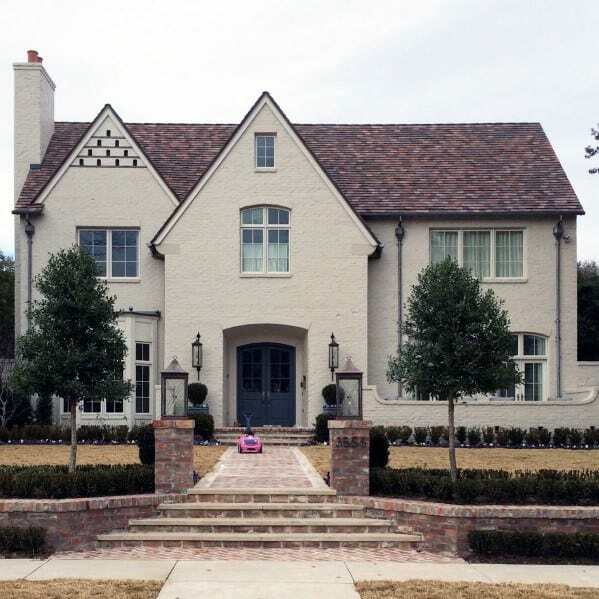 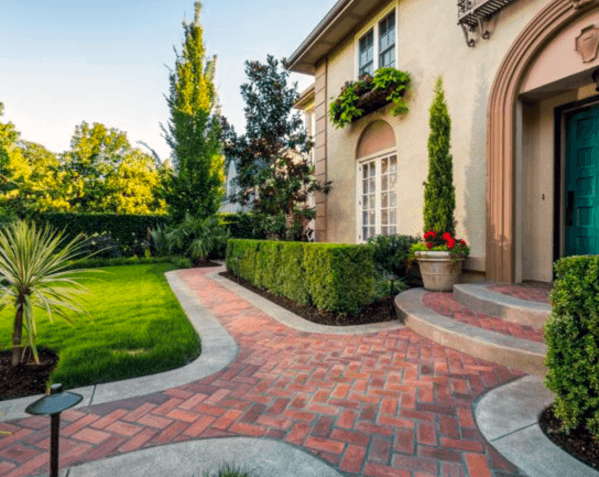 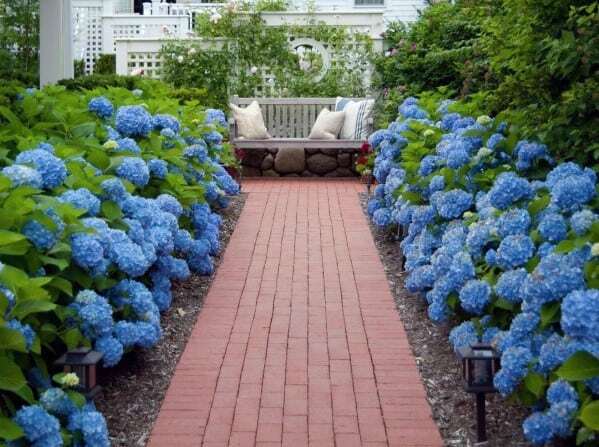 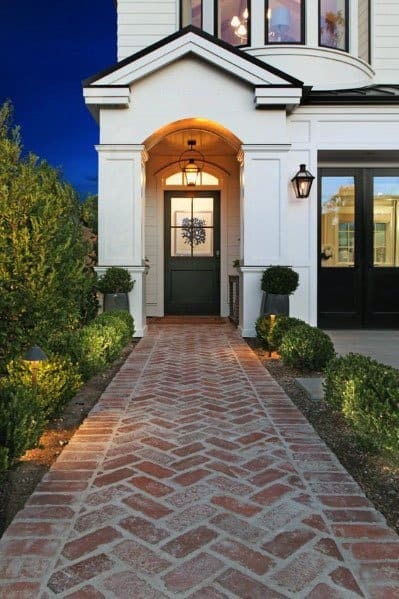 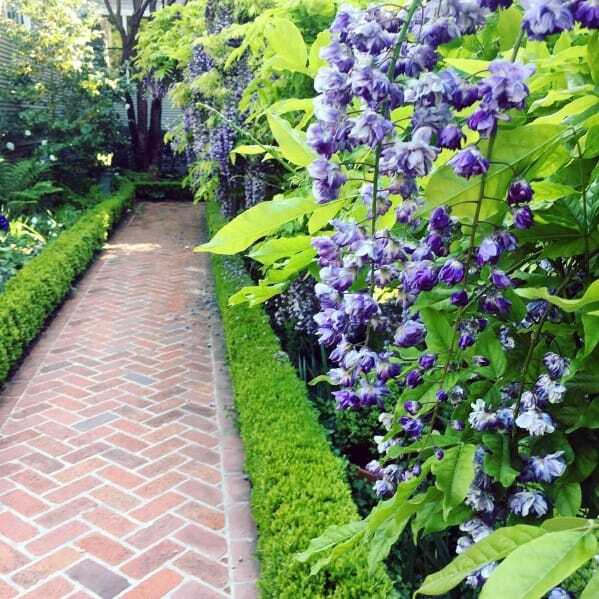 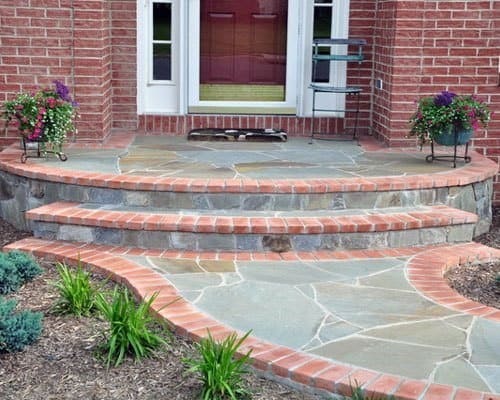 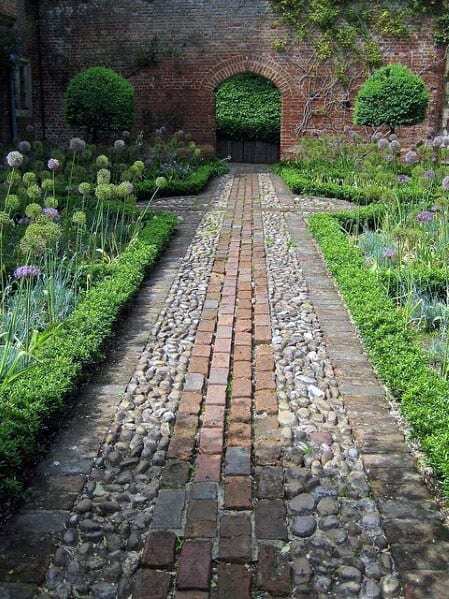 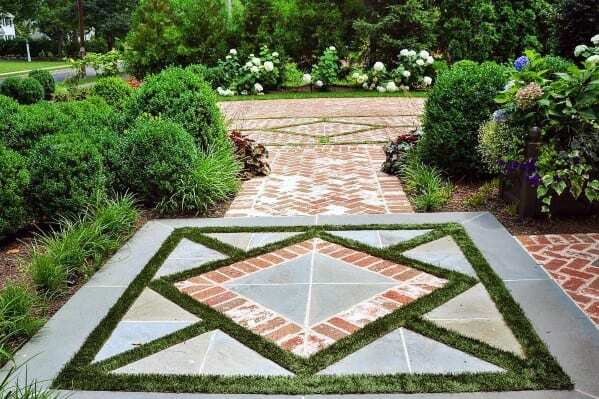 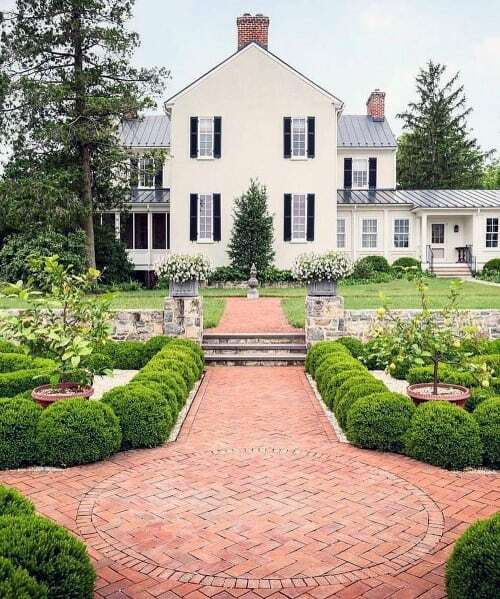 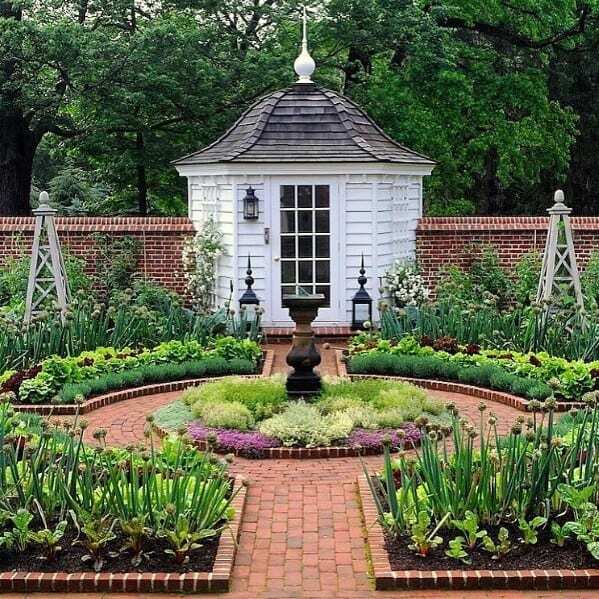 What better way to set out each morning and be greeted at the end of the day than with these attractive–and attractively reliable– top 50 best brick walkway ideas? 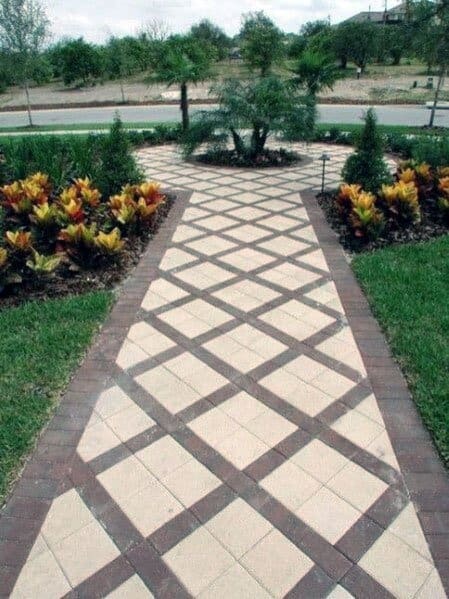 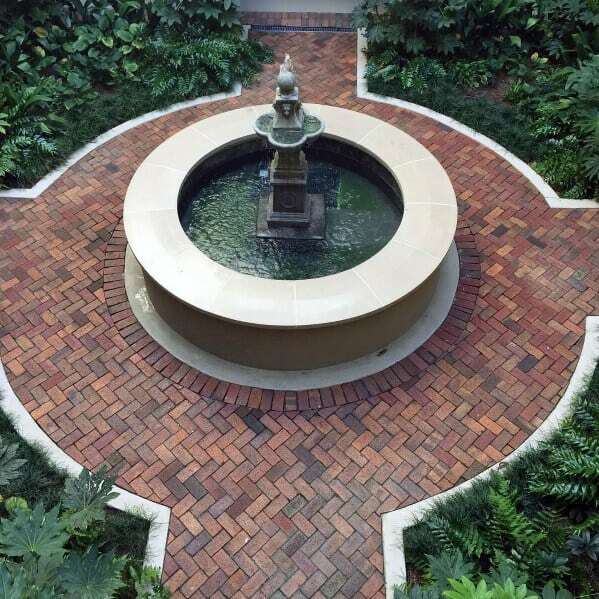 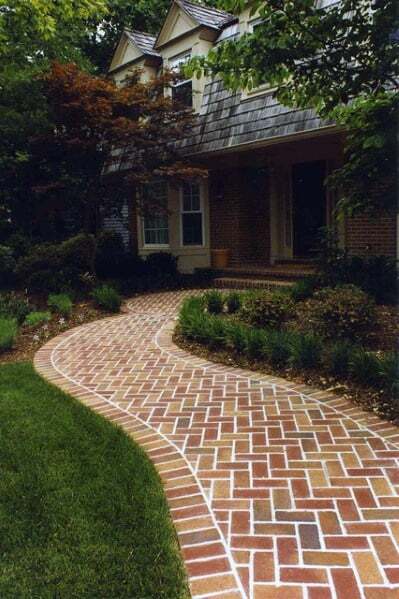 You may never find your own yellow brick road in life, but your personally designed brick walkway might prove to be just as wondrous.